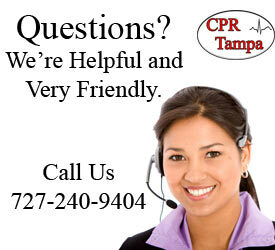 CPR Tampa is an American Heart Association Training Site. We train healthcare and non-healthcare individuals throughout the Tampa area, as well as in Palm Harbor, Clearwater, and all surrounding areas in the Pinellas County, Hillborough County and Pasco County region. 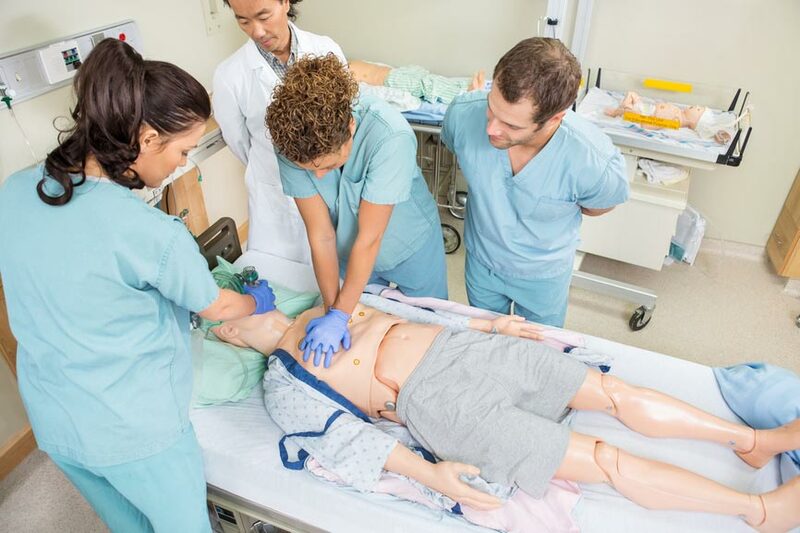 We teach CPR for healthcare providers that include Basic Life Support (BLS), Advanced Cardiac Life Support (ACLS), and Pediatric Advanced Life Support (PALS). 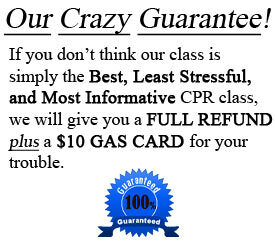 We also provide the AHA HeartSaver® CPR and HeartSaver® First Aid certifications for the public. The AHA HeartSaver classes are for everyone who is not in a healthcare or medical setting. We focus on providing training that is stress-free. 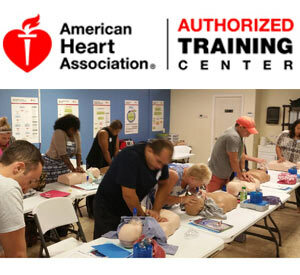 Our AHA instructors not only go through the rigorous training that is mandated for their certifications by the American Heart Association, but also are further trained by CPR Tampa. The training that all of our instructors receive focuses on high quality customer service and how to ensure a relaxed classroom environment for all of our students. We also try to cater to individual needs. It is our goal to provide the most accurate training in an environment that makes everyone feel at ease. 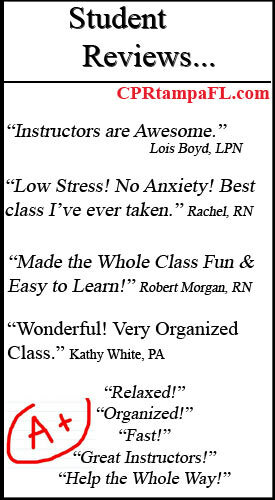 Our instructors are friendly and really do care about your success! We pride ourselves on making every step as convenient as possible for our students, including website navigation, class registration, phone and email support, and of course the best hands-on CPR class Tampa and the surrounding area offer. 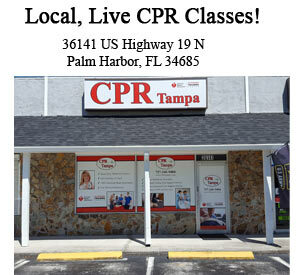 © 2014 CPR Tampa | BLS, ACLS & PALS Classes | CPR Certification All rights reserved.